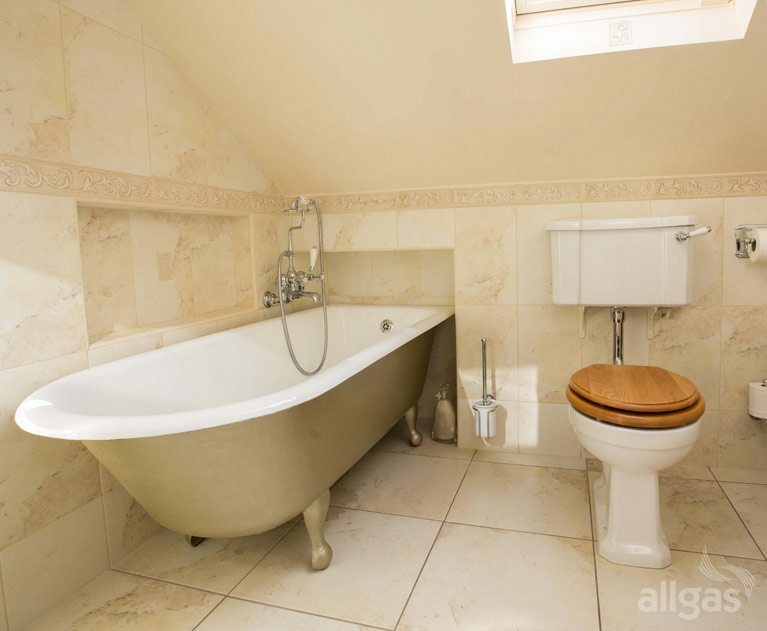 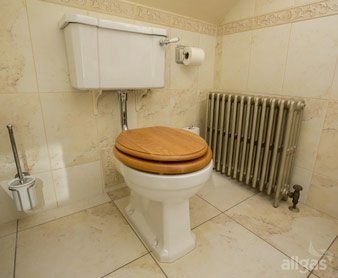 This bathroom shows what can be done in a very small floor space in an attic. The customer wanted to retain the traditional old cast iron freestanding bath but wondered how we could fit a shower as well as the floor space was quite limited. 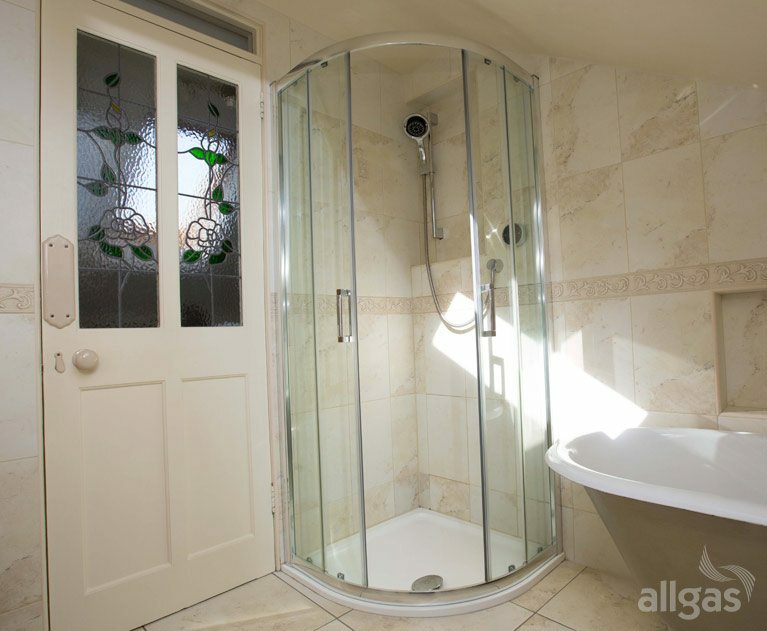 We recessed the end of the bath into the attic storage space which allowed the bath and quadrant shower tray to be fitted into the bathroom. 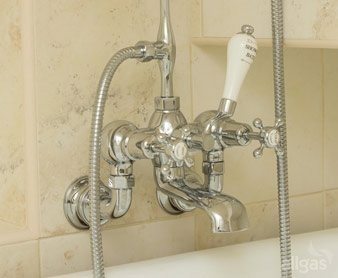 We mounted a chrome Burlington mixer set on the wall beside the bath. 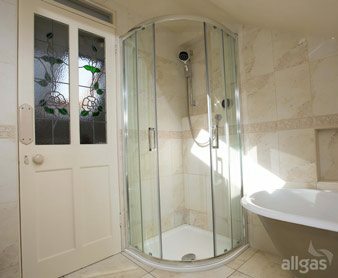 We incorporated a recessed shelf into the tiled shower cubicle to hold the shower hose and toiletries – adding to the space in the shower. 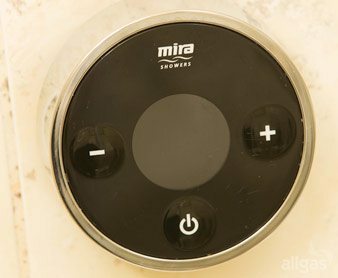 We installed a Mira digital remote control shower which allows digitally accurate precise control of the shower water temperature. 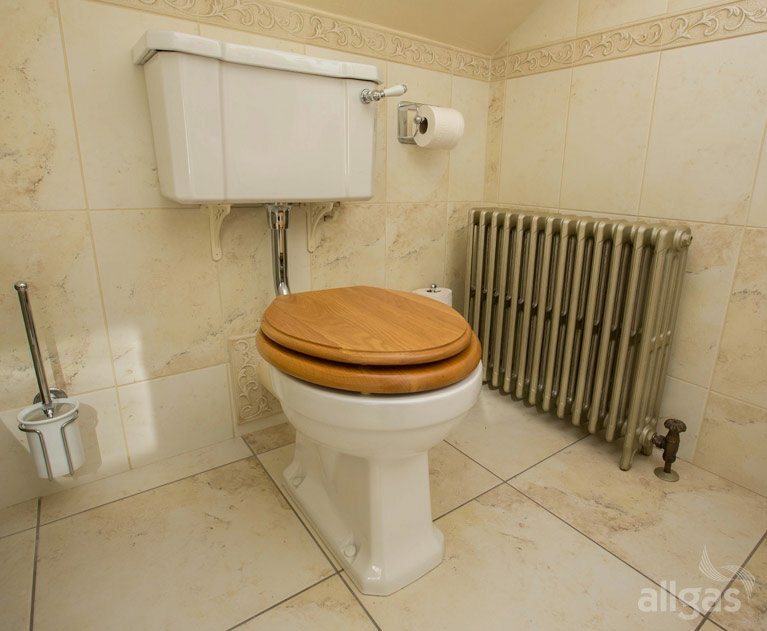 We managed to fit a traditional Burlington wash hand basin, taps and toilet into this small space while still leaving plenty of space in the bathroom. Matching Burlington accessories were added. 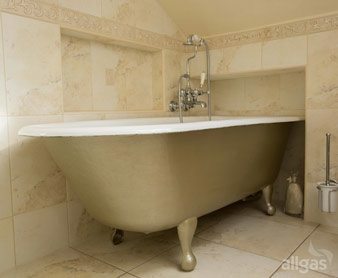 We finished with matching cream tiles and Grecian border.